HOUSTON (CN) – Determined to open a chain of restaurants called The Krusty Krab, a Houston man’s attorney told the Fifth Circuit on Monday that Viacom does not have trademark rights to the fictional restaurant where cartoon character SpongeBob SquarePants works the grill. The theme song to the cartoon series “SpongeBob SquarePants” is ingrained in the minds of fans of the show that has developed a cult following of both children and adults since it premiered on Viacom’s Nickelodeon network in 1999. Viacom has made more than $12 billion in merchandising revenue from the cartoon, which expanded to two feature films, released in 2004 and 2015, that grossed more than $470 million in ticket sales. The cartoon even inspired an eponymous musical that premiered on Broadway last December. 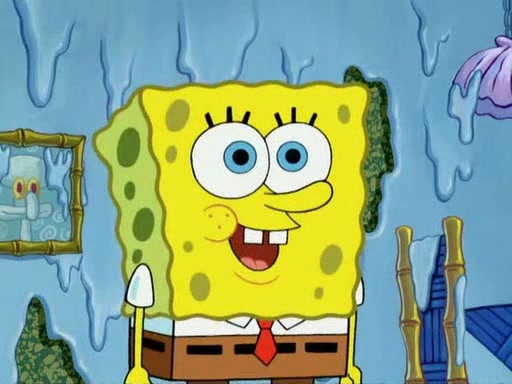 The cartoon often features SpongeBob at his workplace The Krusty Krab, where he serves up Krabby Patty burgers at a breakneck pace under the watchful eye of the restaurant’s penny-pinching owner Eugene H. Krabs. Though Viacom has not trademarked the restaurant’s name, it sued IJR Capital Investments LLC in January 2016 for trademark infringement after learning from newspaper articles that IJR’s owner Javier Ramos Jr. was planning to open restaurants in Los Angeles and Houston called The Krusty Krab. U.S. District Judge Gray Miller sided with Viacom a year ago, citing Fifth Circuit precedent that “ownership of a trademark is established by use, not by registration,” and finding that IJR’s use of the name “creates a likelihood of confusion” that consumers would believe Viacom had licensed its use to IJR. To win a federal trademark infringement claim, a company must prove it has a protectable ownership interest in the mark and that a defendant’s use of the mark is likely to confuse consumers that there is an affiliation. IJR appealed to the Fifth Circuit last May and a three-judge panel of the New Orleans-based appeals court heard arguments Monday at the Houston federal courthouse. In a 40-minute hearing that touched on adjudicated trademark disputes involving the comic books “Superman” and “Conan the Barbarian,” the 1980s TV series “The Dukes of Hazzard,” and the Romulan race of extraterrestrial beings from “Star Trek,” IJR’s attorney Christopher Schaefer argued that Viacom cannot trademark an ornamental backdrop in a cartoon show. Schaefer said that it would create a huge chilling effect on business owners if they could be held liable for infringement for doing nothing more than filing an intent-to-use trademark application. “Now our client, all he’s done is filed an intent-to-use application for The Krusty Krab. We don’t have a restaurant, we don’t have a location, we don’t have a theme, we don’t have hardly anything, but still the court found a likelihood of confusion,” Schaefer said. Schaefer said Ramos stated in a deposition that he got the name idea from the crust that sticks to the top of crabs when they are put in a seafood boil, though Ramos has also testified that he did an online search for The Krusty Krab and saw it on “SpongeBob SquarePants” before filing his trademark application. Viacom has licensed rights to companies that have created figurines of The Krusty Krab for aquariums, and made T-shirts and stickers depicting the restaurant, but Schaefer said it has never used the “mere words” absent drawings of the cartoon restaurant. “Viacom has shown absolutely no evidence that it has used Krusty Krab alone. In fact, all of the evidence shows that it’s used within the SpongeBob SquarePants universe and that is all,” Schaefer said. U.S. Circuit Judge Priscilla Owen seemed skeptical of Schaefer’s claims. “Well, we have an intent to open a restaurant, a building, with the name Krusty Krab. It’s not like you’re creating crumbs to put on a grocery market shelf in a little box that says Krusty Krab,” she said. It was clear that the 63-year-old Owen, a George W. Bush appointee, is not a frequent viewer of “SpongeBob SquarePants,” as she stumbled over the name. “You’re saying you can build a restaurant and put Krispy, Krusty Krab, on the outside as long as it looks different from the cartoon drawing of the Krusty Krab restaurant in ‘Square.’ I can’t keep all this straight,” she said. “Yes your honor, again, the ultimate test, is would consumers be confused. And we’ve at least raised the fact issue, we think as a matter of law that you cannot at this stage find a likelihood of confusion when there is no context of use,” Schaefer said. But Viacom’s attorney, Steve Meleen with Pirkey Barber in Austin, argued that Viacom has a protectable trademark right to The Krusty Krab because it is an essential element of the cartoon. He cited Kellogg’s Pop-Tarts to refute Schaefer’s claim that because merchandise depicting The Krusty Krab usually appears alongside SpongeBob SquarePants, that Viacom cannot assert trademark rights to the fictional restaurant’s name. “It’s simply not the case that because SpongeBob is on there then that means Krusty Krab is not a mark. … Pop-Tarts is certainly a mark and it always appears with Kellogg,” he said. Both Schaefer and Meleen compared the litigation to a lawsuit DC Comics filed in the 1970s in the Southern District of New York against the creators of a newspaper called The Daily Planet, which took its name from the fictional newspaper where Superman’s alter ego Clark Kent works as a reporter. The judge in that case found that the real-life newspaper infringed on DC Comics’ Daily Planet trademark. Schaefer said there was an obvious likelihood of confusion in that case because the newspaper copied the symbol of the Daily Planet from the comic exactly, used drawings of Superman and had articles about him. “This totality, this copying of the theme in context is what created a likelihood of confusion. We have none of that here. All we have is an intent to use mere words. That is absolutely all that we have,” Schaefer said. But Meleen played up the cases’ similarities. Meleen also questioned why Ramos chose the name The Krusty Krab for his proposed restaurant. “Krusty is not an appetizing word and spelling crab with a K certainly does not denote fine dining,” he said. Judge Owen asked Meleen if Viacom would object if Ramos opened a restaurant called The Crusty Crab. “That would be a different case and I think we would have to analyze that. I would say very bluntly it wouldn’t be nearly as strong of a case as this one where he uses it with two Ks,” Meleen said. Ramos’ attorneys have argued in court filings that using Ks for the name is more aesthetically pleasing, but Schaefer conceded at Monday’s hearing that if Ramos used Cs instead, the U.S. Patent and Trademark Office might consider the name generic, preventing Ramos from trademarking it. U.S. Circuit Judge Jerry Smith tried to cut to the heart of Schaefer’s arguments. “What relief then are you seeking on appeal?” asked Smith, a Ronald Reagan appointee. Schaefer said he believes a jury trial would vindicate his client. “We would assert, and any jury would see, that if we didn’t have the same color scheme, if we didn’t have anything at all relating to SpongeBob, that no one would presume these suggestive words for a seafood restaurant Krusty Krab would refer to the TV show,” he said. The panel’s third judge, 96-year-old Jimmy Carter appointee Thomas Reavley, did not speak during the hearing, but he did question attorneys at hearings for different cases earlier in the day. The Fifth Circuit panel did not say when it planned to issue a ruling.